At Christ Lutheran we love to make a joyful noise to the Lord! Through music we praise God, express our beliefs, and worship as a community. Whether you are a talented musician or singer, just enjoy listening to beautiful music, or somewhere in between, we invite you to come and join us as we make a joyful noise to the Lord at our 9:00 am and 11:00 am Sunday worship services. If you are interested in singing in the choir, playing in the handbell choir, or sharing other musical gifts for worship, please check out the opportunities listed below and contact Tim Wilson, who is our music director. 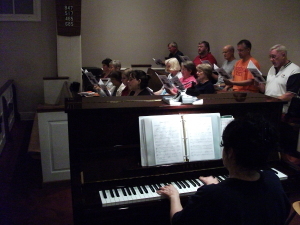 Celebration Choir (9:00 am worship service) with rehearsals on Sundays at 10:00 am . 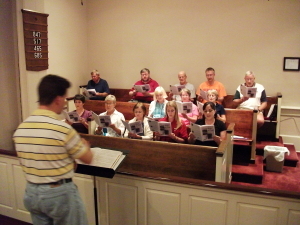 Chancel Choir (11:00 am worship service) with rehearsals on Wednesdays at 7:30 pm . 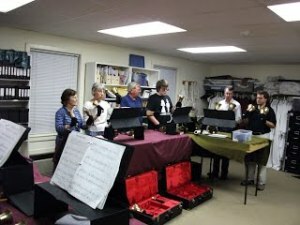 Parish Ringers (handbell choir) with rehearsals on Wednesdays at 6:45 pm.